Yes Nice's debut album, Blindfolded, is filled with effective ballads, rock songs and fantastic songwriting. But even though Blindfolded was filled with some spectacular songs and some soothing songwriting, it was obvious that Yes Nice had not been able to forge a musical identity that would make them more than a band who could produce a limited number of good song. As immediately listenable and effective as many of the tracks on Blindfolded were, none of them were "re-listenable" because the band had not come up with a musical identity to make them "re-listenable." Blindfolded was an album filled with many voices of scattered potential, but yet lacks the cohesiveness, confidence, and permanency to be anything but a solid album. To actually be a band worth remembering, Yes Nice had to figure out exactly what they wanted to be. The uniqueness of Yes Nice's situation is that they may have had other artists figure out their identity for them. Earlier this year, Yes Nice Remixed was released, and featured four unique remixes of Yes Nice songs from four very talented artists. Remixes are usually viewed as sort of an alternative ending, what the artists would have done if they had not had their own vision, but for Yes Nice these remixes served as new beginning. Instead of serving as an alternative to greatness, the fast paced, over enthusiastic and "unstable" remixes of Blindfolded, will be Yes Nice's new beginning, the reason for their future greatness, and the thing that helps form their future musical identity. Instead of being a safe alternative or new ending, Yes Nice Remixed served as a musical compass that pointed Yes Nice to the beginning of a new musical direction that will help make all of their future releases "memorable." Yes Nice Remixed was essentially the editing a rough draft of Blindfolded for a more appropriate final copy: all of the boring verses were replaced with loud and borderline raucous choruses that will be in your head for days, all of the unnecessary ballads were replaced with screeching guitar riffs and solos, and all of the moments that you enjoyed on Blindfolded were emphasized so much that they actually became memorable. Instead of just have a few moments of scattered potential, Yes Nice Remixed gave Yes Nice a new identity as a band that makes songs with endless energy, loud and catchy choruses, and witty and smart lyrics. More importantly, it gave us a reason to remember the band. The band carries this new identity through on their recently released single "Hot River." "Hot River" combines the energy, catchiness, loudness and overall effectiveness of every remixed track on Yes Nice Remixed. "Hot River" is one of the most memorable songs you will hear this year: it has a soaring chorus, rocking instrumentation that you can still dance to, contrasting lyrics that will keep you curious and entertained throughout the track, and absolutely astonishing instrumentation. The track is a perfect summarization of all of the remixes of the songs of Blindfolded, and shows us a band with a totally new identity. Instead of just having a few moments of scattered potential and relevance, "Hot River" proves that Yes Nice can be a fun, catchy, energetic, and effective band for years to come. 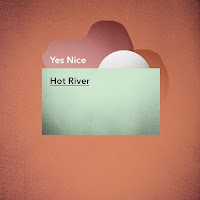 The new identity presented on "Hot River" not only makes Yes Nice memorable, but makes them almost unforgettable. "Hot River" is not only the forging of a new identity and a new beginning, but is proof that sometimes all a mediocre rough draft needs is a second opinion.